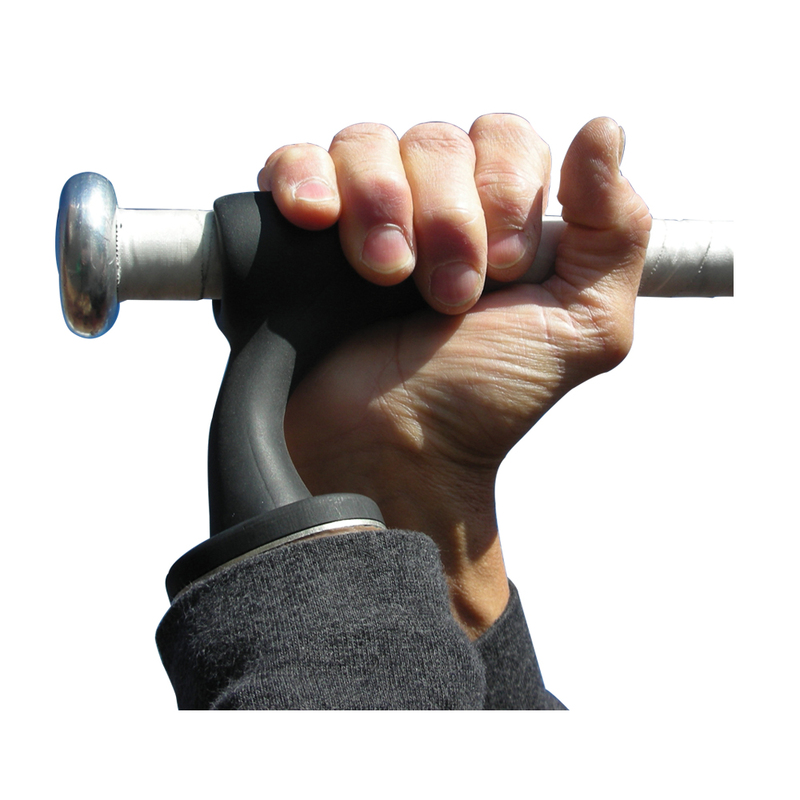 The Pinch Hitter has been especially designed for “Little League” age kids or persons with smaller hand proportions who wish to swing a bat using the function and power of both arms. The Pinch Hitter is constructed entirely of a high performance, flexible, synthetic rubber. It will screw into standard prosthetic wrists or disconnect style wrist adapters. The Pinch Hitter snaps on and off aluminum bat handles for safety and needs to be over-gripped with the second hand for security in swinging the bat. It can be used on either the right or left hand side but performs best on the leading arm. The flexible Pinch Hitter not only transfers energy but stores and releases energy. This helps to control bat swing, improve swing speed and increase ball hitting distances. Material: Proprietary flexible polymer rubber. Application: Young adults age eight and older. Adults with smaller hand proportions. Right or left absence or partial hand.